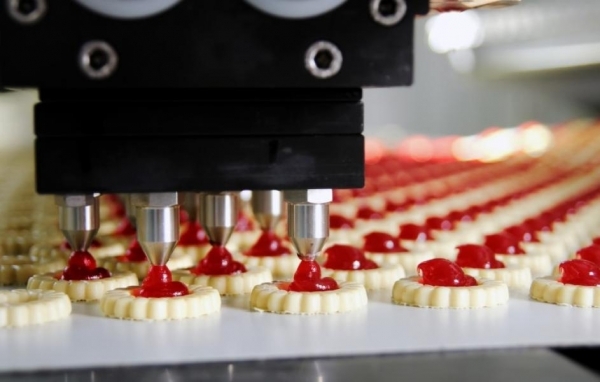 Have a great idea for a food business? 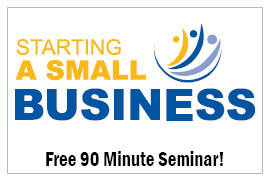 Want to learn how to turn your winning recipe into a successful venture? Then you need to attend this 3 hour seminar which will provide an overview of the things you need to know when starting a food business. A local food producer will join us to share the path and pitfalls of setting up production and provide tips on how to expand beyond the local market. A food service expert will also spend some time recounting his experience building a successful restaurant and will provide unique insights into the food service industry. 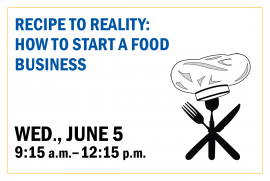 If you're someone interested in marketing a family recipe, an individual with a product idea or concept, a producer considering adding value to an agricultural product or even a chef exploring your possibilities, this seminar will provide you with the information and resources to take the next step! Note: This seminar is associated with the Navigating the Regulatory Compliance: Starting a Business in the Food Industry Seminar and therefore, we recommend advance registering for both. Time: 9:15 a.m. - 12:15 p.m. 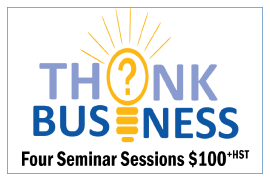 Hosted by the Small Business Centre, this seminar is delivered in partnership with the London Economic Development Corporation (LEDC).